Thu., 13 Jun. - Sat., 29 Jun. Tue., 28 May - Sat., 8 Jun. Sat., 7 Sep. - Wed., 25 Sep. Tue., 5 Nov. - Thu., 21 Nov. Sun., 6 Oct. - Wed., 16 Oct.
Wed., 4 Sep. - Tue., 24 Sep. Sat., 21 Sep. - Thu., 3 Oct. Mon., 9 Sep. - Sun., 6 Oct. Thu., 1 Aug. - Thu., 22 Aug. 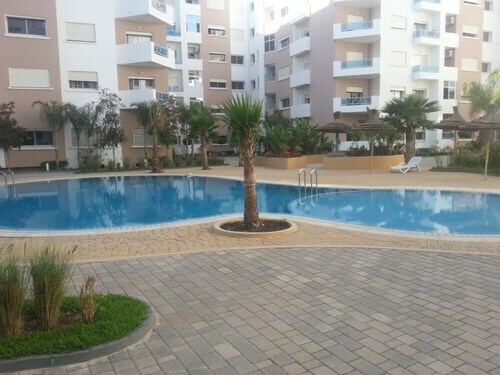 Situated in Nouaceur, this apartment building is 9.9 mi (16 km) from Town Park and within 20 mi (32 km) of Casablanca Twin Center and Casanearshore Park. Casablanca Technopark and Hassan II University are also within 20 mi (32 km). Nouaceur Mohammed V Airport Station is 26 minutes by foot. 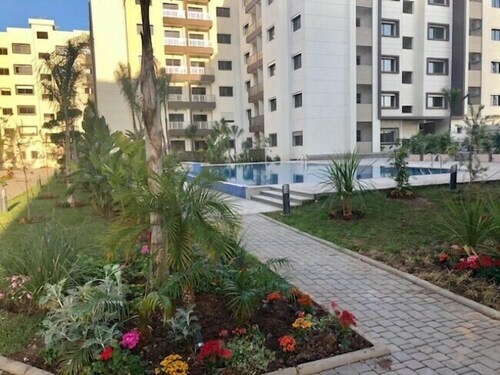 Situated in Nouaceur, this apartment building is 10.9 mi (17.6 km) from Town Park and within 20 mi (32 km) of Casablanca Twin Center and Casanearshore Park. Casablanca Technopark and Hassan II University are also within 20 mi (32 km). Situated in Deroua, this bed & breakfast is 7.7 mi (12.4 km) from Town Park and within 20 mi (32 km) of Port of Casablanca and Casanearshore Park. Central Market of Casablanca and Casablanca Technopark are also within 20 mi (32 km). 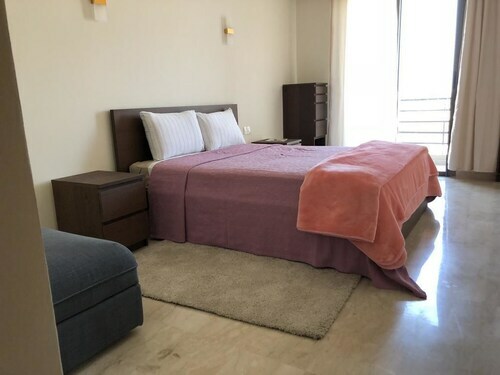 Situated near the airport, this apartment building is 11 mi (17.6 km) from Town Park and within 20 mi (32 km) of Casablanca Twin Center and Casanearshore Park. Casablanca Technopark and Hassan II University are also within 20 mi (32 km). 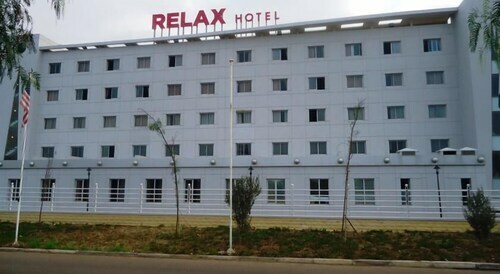 Situated in Nouaceur, this property is within 16 mi (25 km) of Town Park, Casanearshore Park, and Casablanca Technopark. Casablanca Twin Center and Hassan II University are also within 20 mi (32 km). Situated near the airport, this villa is 7.9 mi (12.7 km) from Town Park and within 20 mi (32 km) of Port of Casablanca and Casanearshore Park. Central Market of Casablanca and Casablanca Technopark are also within 20 mi (32 km). Answer : Yes, you can switch your departure or arrival date. If you wish to save a little money in doing so, the lowest-cost day to fly in April is Tuesday. Being flexible with your travel days can provide you extra savings when booking. Question : How much is a plane ticket to Casablanca (CMN) from Toronto (YYZ)? Answer : Prices can range anywhere from $812 to $20,561. Booking in advance can typically help you get the cheapest ticket. 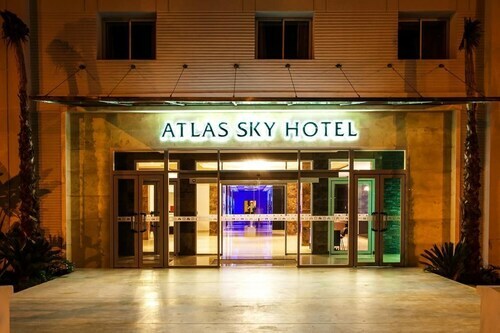 Don't forget, you can save by booking further in advance. Answer : The cheapest day to fly from Toronto to Casablanca is on Tuesday. So, if you are trying to save a little money on your next holiday look for flights on that day. Question : What airports do you fly into for Casablanca? Answer : There is more than one way to get to Casablanca. Billy Bishop Toronto City Airport is just 11 miles away from YYZ, and flights are 55% cheaper on average for the upcoming two months. Ditch the crowds, while also saving a few bucks. Question : How long do most people stay on their visit to Casablanca on average? Question : What is the cheapest airline flying from Toronto to Casablanca? Answer : Air Canada is your best friend for finding that in demand low fare. They're offering fares as low as $812, while prices for similar flights are as high as $20,561.